Himalayan salt lamps have grown in popularity in the United States in recent years. They are often marketed as natural air purifiers that can also help with respiratory issues, mood, and sleep. Salt has been used in treating ailments for centuries, especially in “halotherapy”, which involves breathing in salt-rich air. Few scientific studies have been done on the subject of in-home salt lamps, but research into some of the claims made by salt lamp producers has been mixed. Here’s an overview of the reported benefits and some studies that have looked at the claims associated with Himalayan salt lamps. This information can be helpful to consider when thinking about adding a salt lamp to your home. When heated, salt is a natural ionizer. It changes the electrical charge of the air around it. Other natural ionizers include waterfalls, waves, and storms, though these produce much larger numbers of negative ions than salt lamps can. However, the concentrations of salt used in halotherapy are much greater than those found in common salt lamps. And no studies have focused directly on Himalayan salt lamps and respiratory health. Other claims about removing impurities from the air are based on hygroscopy, which is a known process. 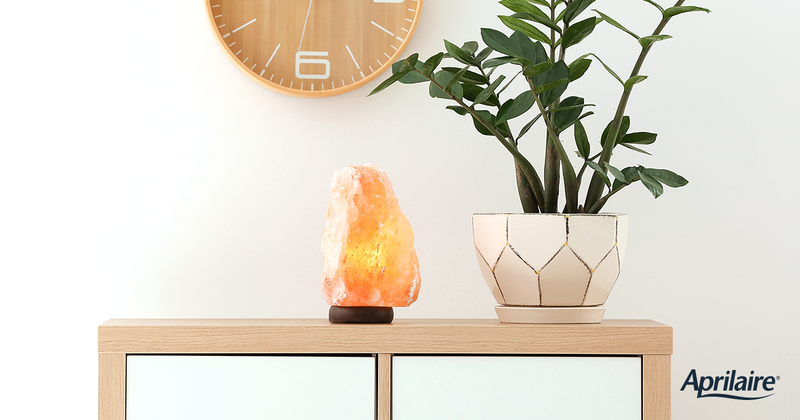 But it’s unclear if common salt lamps are capable of removing significant amounts of contaminants like dust, pollen, smoke, and mold from the air. It’s unclear how many negative ions salt lamps can produce when heated by a light bulb, and if those levels of concentration would compare to what was shown in the study. Beyond negative ions, salt lamps look nice in a room and can make it feel cozier. This can help improve your mood, and make your environment more relaxing for others. Bottom line, the Himlayan salt lamps can add a calming presence to any room in your home. However, the lamp’s warm, inviting glow is a great alternative to glaring overhead lights as you wind down at the end of the day. And this may help you fall asleep faster. Salt lamps are not a proven method for air purification, but can improve mood and make it easier to sleep.